I am so happy to be writing to you again. I must tell you that my reasons to be contacting you are to show my friends your skill and interest in fly fishing. For those of you that have not been following Tenkara-Fisher, here is a little story. A few years ago, I meet Satoshi Miwa at a web site that I had started many years ago but I liked to visit it now and then because I still enjoy it. 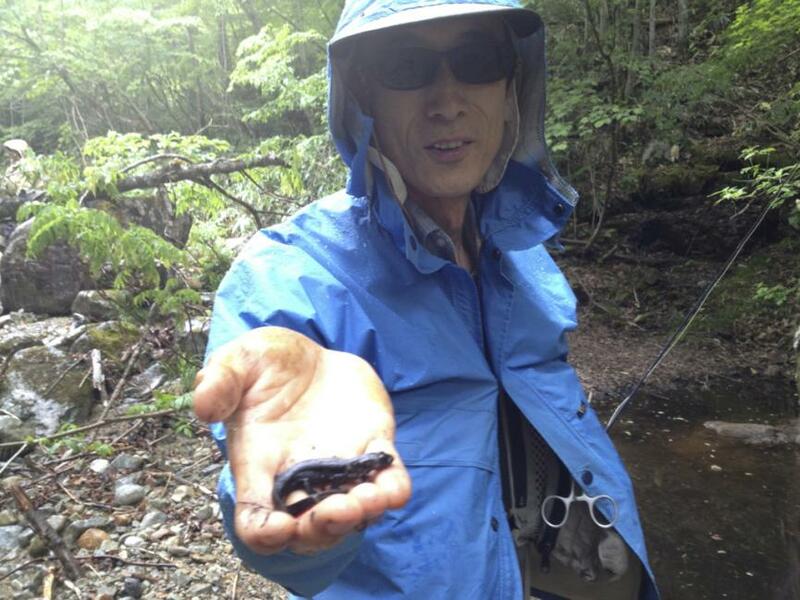 Although I was only fishing Tenkara, the web site was about small stream fly fishing and we shared our passion together. Miwa-san would often post pictures and stories of his fishing in the Japanese Alps around Takayama. So beautiful and I really wanted to come and visit him. I had been reading a lot of stories from Daniel Galhardo of his adventures in Japan visiting the Japanese masters and fishing with them. I have also been following along with Yoshikazu Fujioka and his web site “Trout and Seasons of the Mountain Village; My Best Streams” since about 1997. Japan and fly fishing have been a target of my interest for about 20 years. It has been my interest to go fly fishing in Japan, more so than in Wyoming or Idaho, even more than anywhere in the world, I want to fish the streams of the Japan’s mountains. 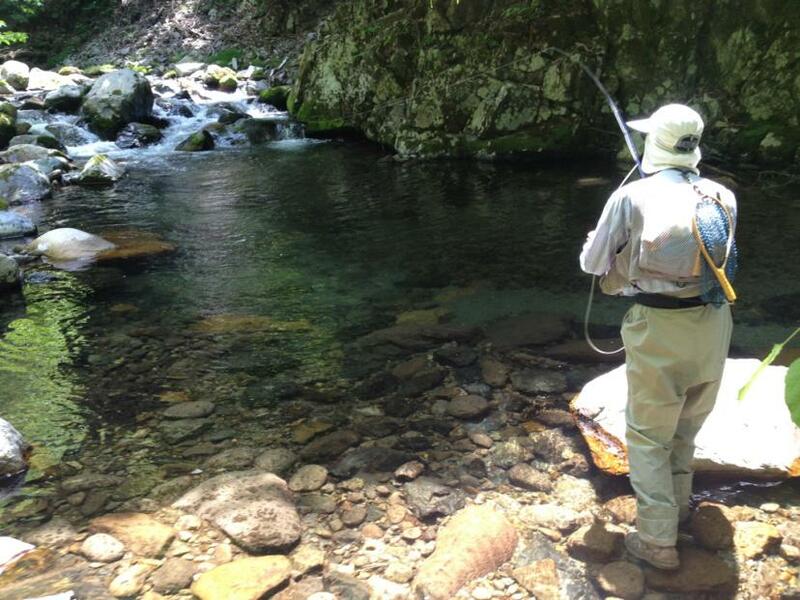 So when I found out about Tenkara USA, it put my drive to fish the Japanese mountain streams on high alert. I am there, it’s going to happen. So I started saving, researching and dreaming. I followed along with what I could from Daniel and e-mails to Fujioka-san, Ishigaki and Sakakibara. I practiced “one fly” for a year at home and felt I was ready. The day came for me to go to the airport to start my adventure and I left my little Wheatley Fly Box at home, it was the hardest thing that I did. …and I saw Miwa-san in the big hallway of the airport with a little sign for me. We had a four hour drive and I was happy to be on the ground. I’m an old surfer and have read many stories of traveling surfers leaving their boards with their hosts. 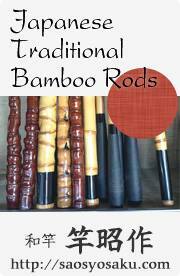 I had brought a small quiver of favorite rods and one of them was destined for Satoshi. But he was adamant to only fly fish as I was to only fish Tenkara. He was interested but not for his own practice. He is a fly fisher and he was hosting a crazy fly fisher that was learning about Tenkara. 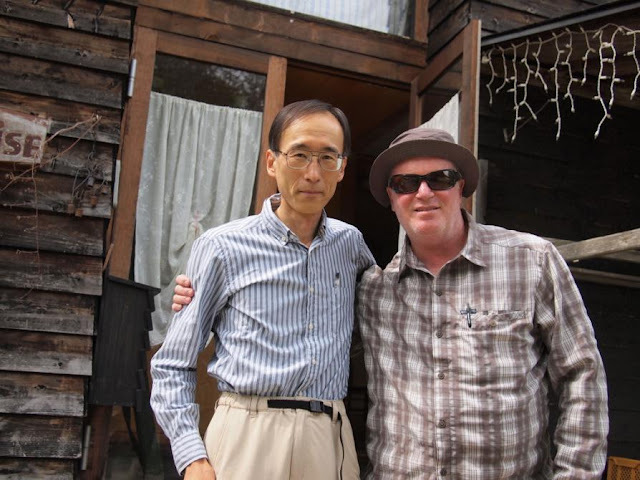 We got to his van and began the few hour drive to Re-Rise lodge near Takayama. It is such a great memory to be thinking of this again. Adam: Miwa-san, we had some fun together huh? The fishing was a little difficult for me because I only used my one pattern but I caught Iwana with you and Nafuji-san and we had a lot of fun. Satoshi Miwa: Yes, of course! It’s a funny memory now, though at that time, I was really upset. I was, well…, I am always not very careful when I back a car. I didn’t realize that the shoulder of the road was a drop-off until one of the rear wheels fell off and the belly of my car sat on the road edge, which lifted the wheel of left front up from the road completely. I couldn’t gain enough traction with the remaining front wheel which was still touching the road surface. I really didn’t know what to do, but then, you suddenly went out of the car, and jumped on the hood. Because of your weight, the car leveled and the wheel touched the ground and gained the traction, so that I could get the car out of trouble. I know you have lost a lot of weight since then, and I’m afraid you cannot do it again^^. Adam: You were and are the most excellent host. If I would have known that the trip to Iga was so involved, I would not have asked for you to take me. It was like four or five train rides to get there and the Ninja village was interesting but small, more for kids. I would have just stayed fishing for another day. So I want to say that I am most thankful for your efforts in being the best host and I am sorry that I asked you to guide me on that portion of the trip. I should not have asked now that I look back. But it was cool and a great memory, I enjoy Ninjutsu and I’ve been to where it began. Thinking of great memories, when you took me out on the road by your work, standing there looking at the stars, you began to direct me to the different frogs and their chorus. You spoke to me as a biologist and I was learning about the frogs, that was one of my favorite times, one of my best memories. I remember it very sharply. Satoshi Miwa: I am a biologist, but frogs are not my specialty. My field of expertise is pathology of fish and other aquatic animals. People sometimes say that I’m lucky because my work is closely related with fishing. It is not, however. Although I occasionally handle trout in my work, for me they are simply subjects or specimens for study and totally different from wild trout I fish in streams. Adam: Your English is excellent. 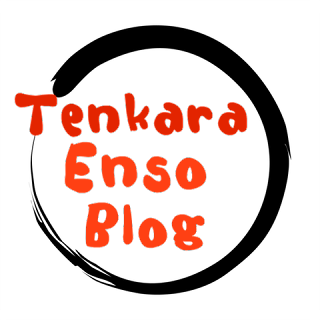 Your translation skills are superb and I thank you again for you kind assistance in helping me to share the old Tenkara books and my Interviews with our English speaking audience. As I sat in your living room in Mie, we looked at your photo book and you did some fly fishing in America. Satoshi Miwa: I hope readers won’t be fooled by you about my language skill. I am rather good at writing, because I can consult dictionaries or web pages as much as I can, but I am always very frustrated by my awkward language when I speak English. Anyway, it was almost a quarter of a century ago. I lived in Seattle just for one year, so I spent one fishing season there. I fished streams around Seattle, mostly small tributary streams, but I went fishing to the Yakima River twice in autumn when the water level dropped and wade fishing was possible in some areas. I also went fishing to Montana and Yellowstone area twice. I fished several famous rivers, such as Rock Creek near Missoula, Beaverhead, Yellowstone, Slough Creek, Firehole, Gibbon, etc. I enjoyed some superb fishing, but I also learned fishing can be tough even in that area, which is a world mecca of fly fishing. My guide book said that even a small kid could catch 20-inch cutthroat at the place called Buffalo Ford of the Yellowstone River. I fished there for a whole morning, and I hooked only one cutthroat on #20 dry fly. I lost him before landing. While I was standing in the river, I saw many large fish swam upriver around me. They never showed any interest in my offerings, though they readily took naturals drifted by. Henry’s Fork of the Snake River was also too difficult for me to catch any decent trout. The memories in the U. S. were deeply etched in my mind and I can still remember them very clearly, not only about fishing but also the scenery such as the golden-yellow aspen trees along the autumn Yakima River, the spectacular Grand Canyon of the Yellowstone, wild life, and, of course, American people, who were very kind. It was certainly the happiest fishing season in my life. I was still a novice fly fisher at that time. I wish my fishing skill had been at least at my present level, so that the fishing could have been far much better. Adam: That is impressive. I noticed that you fished bamboo and graphite rods while I was with you. I like it that you like both. That is very cool. I also like that you introduced me to Nafuji-san and his lodge Re-Rise. I could not have thought up a better way to be introduced to Japanese fly fishing and Tenkara. When we had evening relaxation at Re-Rise, I noticed the Shimano, “Fishing Café” magazine that had Yuzo Sebata on the cover. I have now started a friendship with Sebata-san and his son. They are very kind and we have had some exchanges along with a couple of Interviews for Daniel’s magazine and here at Tenkara-Fisher. That was a moment that I wanted you to understand. I understand now that Sakakibara-san and Ishigaki have contacted you to go fishing with them. Satoshi Miwa: Yes, last year, Sakakibara-san invited me to fish with them. The major reason I was called was that he expected to have two tenkara fishers from the U. K., and he (and ishigaki-sensei) needed an interpreter. The people from the U. K. were John Pearson and Paul Gaskell. 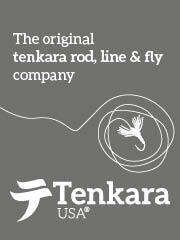 They are leading tenkara fishers in the U. K., and trying to promote the fishing in their country. 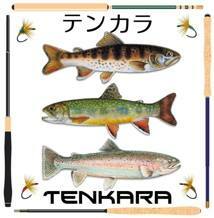 You can find their homepage by searching for “Discover Tenkara” on the internet. They brought a heavy video camera and a single-lens reflex camera, and took movies or pictures of Sakakibara-san casting, so that they can use them to teach tenkara in the U. K. It was a great experience for me too. When you and I met Sakakibara-san, I fished alone (which was not bad), and I didn’t watch Sakakibara fishing very closely. This time, I followed him all along, trying to translate what he says to John and Paul, so (I think) I understand his way of fishing at least partly, though I’m not sure if I could convey the meanings of his words appropriately to the two Englishmen. Anyway, I found, in principle, what he says about tenkara is very similar to what expert fly fishers say about fly fishing. Also, the ideal casting motion for tenkara seems almost the same as that for short distance cast of fly fishing. The Englishmen told me about their fishing in their home water. One thing that I was surprised at is that people usually don’t fish small, freestone mountain streams in the U. K., so that their fishing club can utilize a whole watershed of such a stream to enjoy fishing by themselves at a fairly reasonable price. Adam: I also wanted to stay at the Historic Villages and you made that happen. The Nakaya family in Gokayama really made our stay nice. We had good meals and I loved walking around the area. Satoshi Miwa: It is certainly a nice place to visit, but, honestly speaking, I don’t think it is always a good idea to stay there if you are an enthusiastic fishermen, particularly if you are a Japanese at my age. I lived in a very old house by myself when I was a kid, and the Nakaya house we stayed in Gokayama village was similar to our old house in many respects. Nakaya was even much modern than our old house in some ways, such as the bath or toilet. Nevertheless, if you come from the U. S., it might be a good idea to combine the experience of staying such historic villages and tenkara fishing. You have to check accommodation carefully, however. You usually have to share bath (guests take turns, as you know.) and toilet with other guests. They only serve traditional Japanese food. In the place we stayed, there was a western style chair you could sit in, in our room, but there are places where there is no chair. A life in such a house is actually very inconvenient, and some people might not be able to stand it. In fact, that is why the majority of the Japanese people gave up such old life style and houses. So, it really depends on the preference of a person. If the person is interested in old Japanese culture and is not picky about food, it would certainly be a great place to visit. In fact, many people from foreign countries stay in Gokayama or Shirakawago villages every year. Adam: You have been fishing with me and you have seen other Tenkara anglers and a couple of the experts at it. I believe you understand now very well. 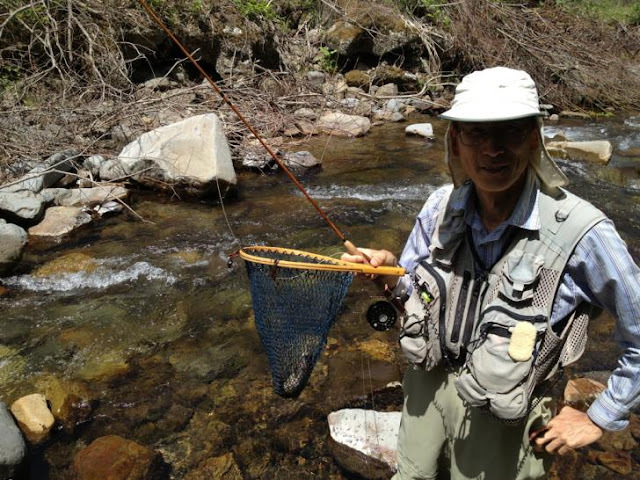 Satoshi Miwa: Tenkara is certainly a great method of fishing trout. It’s very efficient. It seems that, in average, a tenkara fisher can catch more fish than a fly fisher can, at least in the mountain streams like the ones in Japan. With a very simple setup with only one fly, you can fish from close to water surface to the bottom of the stream. An expert like Sakakibara can sink unweighted fly to the bottom by controlling the fly into a downward current. You can easily drift your fly naturally with a long rod and a very light “level line”, without any difficult techniques such as curved cast or a line mending, which are often required to achieve “natural drift” in western-style fly fishing. A tenkara fisher don’t have to bring a lot of stuff, such as a wide assortment of flies, a reel, sinkers, indicators, many tippet spools, which make my fishing best weigh a few kilograms. Compared with tenkara, western fly fishing seems rather complicated. On the other hand, I like this complexity, and I believe this complexity makes western fly fishing very interesting and fun. For example, it would be a great joy if you first cannot catch trout with a dry fly, but, after trying different types of flies and drift, finally find an emerger pattern just under the surface can do the trick and catch trout. As long as we fish for fun, it is impossible to determine which one is superior to another. Adam: I have been and am still learning so much about Tenkara in Japan. I have meet many people now and we are friends now, just like you and I started our friendship. Keiichi Okushi and I have been friends since my trip to Japan. He is a Genryu fisher for nearly his whole life. He has been teaching us about Genryu. Nafuji-san took us to that one no name stream with access from an old logging road, if I had felt sole boots and my ankle was good, I would have been much more comfortable. I remember climbing one section that was very steep by grabbing onto a small root. If that root where to let go, I would have been very hurt by falling quite a way. I was excited that you guys would let me do that and also a little cautious at the time because my ankle was still sore. That section of the stream was just a small part of what a Genryu fisher does. Satoshi Miwa: Genryu simply means “headwater”, and nothing else. Therefore, there can be many types of waters for genryu. In the world of fishing in Japan, however, if someone say he/she likes genryu fishing, it often implies that the person prefers to fish with some adventurous hike in mountains to get to the water, or that the person likes to fish in remote mountain streams where they are not stocked with fish and you seldom see other people or man-made structures, such as roads, bridges, or houses. When I was a college student, I did mostly such fishing with friends, though I was a bait fisher at that time. We carried heavy backpacks and spent a few to several days camping along mountain streams, and enjoyed fishing innocent trout, which were mostly iwana. One of the reasons we did such fishing was that we were not skilled enough to catch educated trout in crowded waters near cities. Adam: When I return, I want to do more of this type of fishing. I have also taken up a little Keiryu, I really love the Japanese style of mountain stream fishing whether it is Tenkara, Keiryu or even fly fishing, you guys have adopted your fishing styles to the terrain and to the fish. I want to speak to you about something that struck me deeply. We spoke about our mortality and how many fishing seasons we have in the future. It is not something that I think about so much before I meet you. I want you to know that you have taught me to cherish each season like it was my last. That in itself is very important to my fishing because it is a reason for me to focus more on what is important in my time spent on the stream and now in my life. So for that, I want to thank you. Satoshi Miwa: I’m not doing anything differently, though I’m always trying to maximize my time to spend trout fly fishing. There are types of fly fishing I have never tried and I wish I could try. One of them is wet-fly fishing for large fish in large rivers. In such a type of fishing, 20 inchers are not rare even in this country. If I live close to one of those large rivers, I would have certainly tried it. In reality, I don’t have time to learn such fishing. I live in a rather warm area and I have to drive 1 hour and a half even to go to my home water where only small trout (8-inch fish is a good size) can be caught. I have limited chances, usually 3 or 4 times in a year, to go fishing to places where there are many larger (in the Japanese standard) fish. However, because of my fishing occasions are limited, the impression of each fishing trip is strong, and I remember each of those trips vividly (particularly like the one with you). Still, I wish I could move to a place where there are many good trout streams. I’m envious of American people who live in the mountain states like Montana or Colorado, where there are so many excellent trout streams that it is impossible to fish all of them in one’s life time. By the way, keiryu means “small mountain stream”. Japanese trout fishers go to keiryu, because that’s the only type of trout stream where we can catch trout constantly. You have every type of water in your country; flat streams meandering through meadows, large rivers where pods of trout rise to dry flies, steep mountain streams just like our keiryu. I also envy you Adam. At least you have those extremely good trout fishing in the same continent! I cannot quit my job because I have my family to feed. All I can do in my remaining fishing seasons is to spend my time for fishing as much as I can. Adam: In the near future, maybe the next season or the season after that, I will return to Japan to go fishing with Keiichi and his friends. I want to camp and fish, it is something that I am very interested in. I have un-finished business in your country. I want to share some time with Sebata-san and I will continue to share my interests with Japanese anglers as much as possible. I’m trying to build a bridge between Japanese anglers and America and ultimately to anyone in the world who wants to know more about Tenkara, Keiryu, Genryu and now Japanese fly fishing. You have helped and continue to help me build that bridge, thank you. Knowing a little more about Japanese stream fishing, I am trying to show that sharing the knowledge will improve the communication which will improve the equipment and techniques as well as build friendships between Japan and America and ultimately everyone else that is interested. Satoshi Miwa: This is a very difficult question to answer. Language is certainly a big obstacle. As you know, ordinary Japanese people don’t speak English language. Also, I’m afraid trout fishing in this country is not very appealing to the people in the U. S., where you have millions of streams filled with big trout. 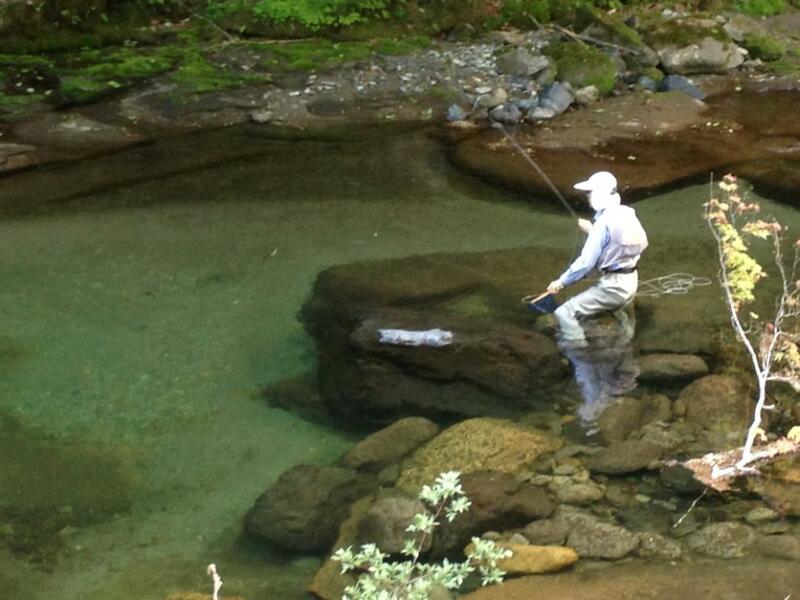 In fact, I still wonder what makes you so interested in the mountain fishing in Japan. Maybe you can arrange a tour to Japan, in which you can combine tenkara fishing and sight-seeing, or experiences of Japanese culture, like staying in a historic village as you have mentioned. I think the population of tenkara practitioners in America probably needs to grow much bigger for you to gather people enough to set up such a tour. You cannot force people to get interested in the Japanese mountain fishing or culture. Adam: You have been a very big help with Tenkara-Fisher and I am eternally grateful to you. Your skill level in fly fishing is amazing. You may think that you are not as good as Nafuji-san but there is more to it than that. You are a guide. An international guide for stream fishing, Tenkara and Japan. You have helped people online that have never meet you through your kindness and helping me understand Japanese mountain fishing, literature and culture. You have helped visiting Tenkara Anglers on their own journey to help others through their own adventures. Sakakibara-san and Ishigaki sensei have had you in their circles to help them. You are very helpful with your kind assistance. I want to recognize your contribution to our cause but more importantly, I want to say here that I have watched you carefully and you are an excellent fly fisher. I know, I’ve watched many and you are just as good as anyone that I have seen. Satoshi Miwa: You have broadened my world of trout fishing. I have got to know some nice people through you, and I truly appreciate it. I want to say one thing. 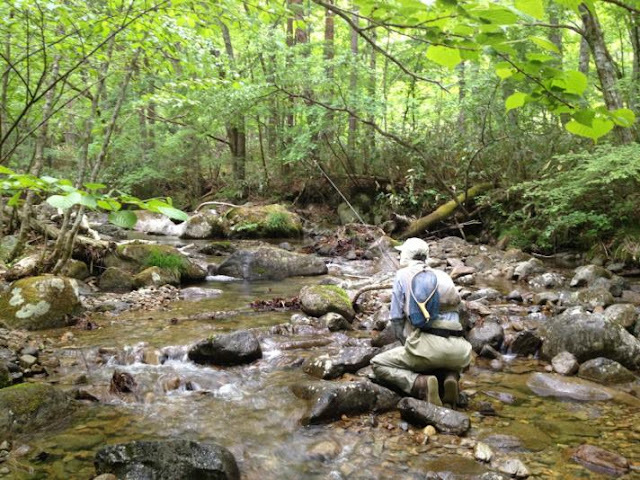 Tenkara is just one way of fishing trout; neither more nor less. I’m afraid some western people tend to look for something deeply philosophical or spiritual in things of eastern culture, including tenkara. People may think that tenkara has a long tradition and history in Japan. 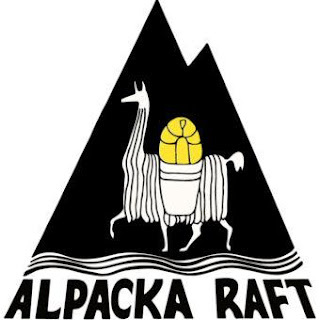 However, the fishing has been conducted only a limited number of practitioners in different places separately, and their techniques have not been successfully inherited nor systematically combined. Therefore, some of the present-day tenkara “masters” have learned the fishing from their particular “sensei”, and others learned and developed techniques by themselves. Sakakibara-san is a good example for the latter. He told me that he developed his fishing style all by himself. To my knowledge, a book exclusively written on tenkara first appeared long after World War II. Thus, tenkara is, in a sense, a new fishing style even in Japan. On the other hand, western fly fishing has a much more long written history and an accumulation of knowledge, as you can see in the famous book “The Complete Angler”, written by Izaak Walton and Charles Cotton in the 17th century. I don’t think there is many literatures describing tenkara scientifically, such as an in-depth analysis of the casting motion of tenkara. I think such a work can be done by tenkara fishers in the western world.